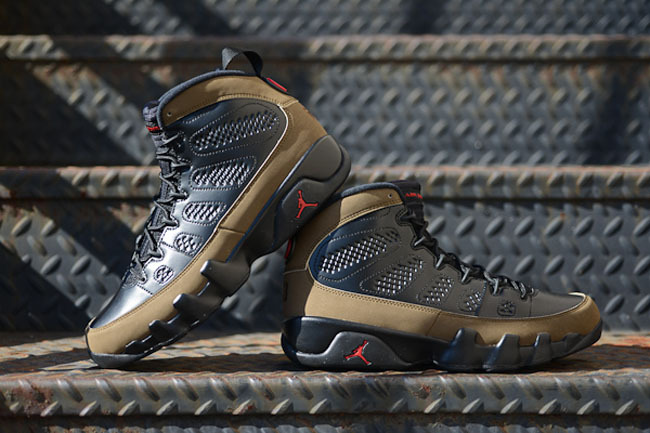 The Air Jordan 9 Olive is a perfect example of the phrase, "Less is more." The sneaker is decked out in a black leather upper with a matching sole. Olive trim on the sneaker compliment the design as red accents hit the sneaker's appearance add a little flavor to the look. The subtle design is the epitome of clean. From the OG to the recent retro, the sneaker is an instant classic.